On-demand mobility service announces new fleet operating in the Steel City, with 100 dockless electric scooters provided by Silicon Valley-based GenZe e-Scooters offer eco-friendly alternative to rideshare and public transit, featuring smartphone app connection to locate and operate vehicles. PITTSBURGH–(BUSINESS WIRE)–Residents, workers, students and tourists in Pittsburgh will soon be able to experience the city like never before. Starting in June, on-demand mobility service Scoobi will introduce Pittsburgh’s first dockless electric scooter fleet, offering a new transportation option to the city’s 300,000-plus residents and visitors. Shared fleets like Scoobi are a great example of how these innovative electric scooters can transform our approach to local commuting and urban exploring. 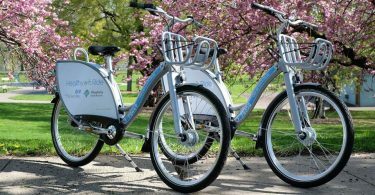 The shared e-Scooter fleet aims to fill the gap between public transit and rideshare options, providing riders with an affordable, convenient and eco-friendly solution for short-distance transportation across the Steel City. According to research, Pittsburgh drivers spend an average of 81 hours per year commuting, often in traffic throughout the downtown area. 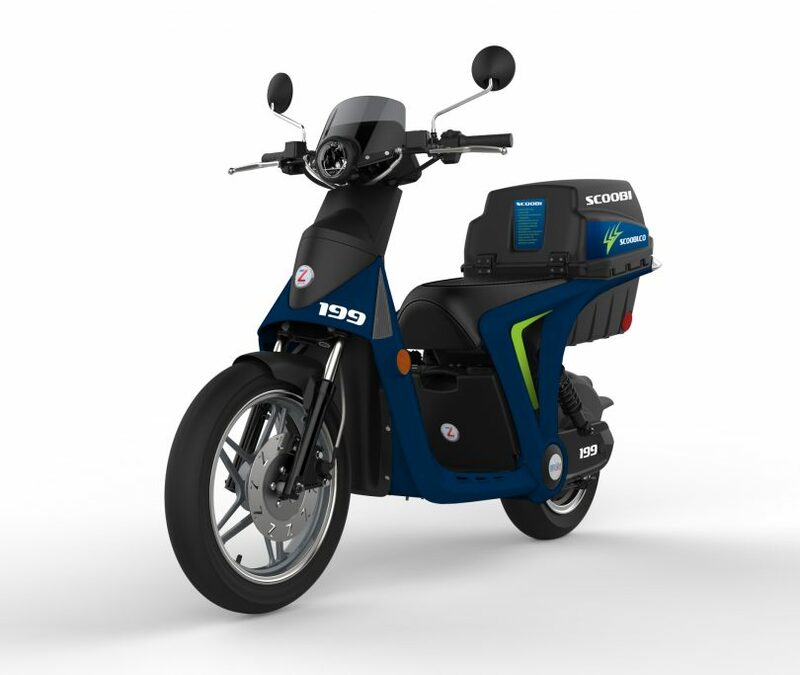 Scoobi’s initial program launches with 100 electric scooters produced by Fremont, Calif.-based GenZe. The model 2.0F electric scooters, which are assembled in Ann Arbor, Mich., are purpose-built fleet versions of the Silicon Valley brand’s 2.0S e-Scooter. The GenZe 2.0 e-Scooters’ smartphone-connected IoT technology and removable battery with standard wall-outlet charging are proven to help shared electric fleet operators. Riders locate and operate the scooters using Scoobi’s mobile app, which identifies available scooters throughout the City, and holds the selected vehicle for 10 minutes. The Scoobi app displays the battery life for each scooter, and enables the vehicle to be started, plus provides access to a lockable trunk where two different-sized helmets are stored. To charge the user’s phone while riding, Android and iPhone chargers are provided in the scooter’s trunk, that connect to a phone mount with charging point located on the handlebars. Scoobi’s mobile app also provides users with a running total of miles driven and the user’s carbon footprint impact. The cost for riding the Scoobi scooters is $5 for the first 20 minutes, and $0.20 for each additional minute. There will be charging stations located throughout the East End where a rider will be able to park in garages and charge the scooters after their ride has ended. If parking in a charging station is inconvenient, riders will also have the option to park on the street in various “blue zones” outlined in Scoobi’s mobile app throughout the East End and in parts of the North Shore and South Side. Scoobi electric scooters have a maximum speed of 30 miles per hour and a range of up to 34 miles per battery charge. Since a Class M license is only required for vehicles in Pennsylvania over 50cc, Scoobi scooters can be ridden by any person with a standard Class C driver’s license. For more info and a link to download the Scoobi app, visit www.scoobi.co. Scoobi is a Pittsburgh-based company dedicated to providing convenient, cost-effective transportation solutions in cities. Founded in 2018, Scoobi’s shared fleet of electric scooters aim to transform the way people experience cities. Utilizing an integrated mobile app, Scoobi’s on-demand mobility service allows riders to easily find and select a shared-use scooter and experience a new way to get around town. For more information on Scoobi, visit us at www.scoobi.co or follow us on social media at Facebook.com/Scoobi.Official or @scoobi.official on Instagram. GenZe has a simple motto: “Two Wheels. One Planet. Zero Emissions.” We are committed to providing easily-accessible personal transportation through e-Bikes and e-Scooters loaded with smart, connected technology and powered by sustainable, zero-emissions electric energy. GenZe manufactures and assembles in Ann Arbor, Michigan with corporate headquarters in Silicon Valley. GenZe is a division of the globally-expanding $19 billion Mahindra Group, which focuses on enabling people to rise through new and better solutions to tomorrow’s challenges. The Mahindra Group is a worldwide leader in aerospace, automotive, utility vehicles, tractors, motorcycles, clean energy, and more. For more information on GenZe, visit us at www.genze.com or follow us on social media at Facebook.com/RideGenZe,@RideGenZe on Twitter, and @RideGenZe on Instagram.